SCVHistory.com LW2113 | Newhall | Movie Set; Early Mixville? 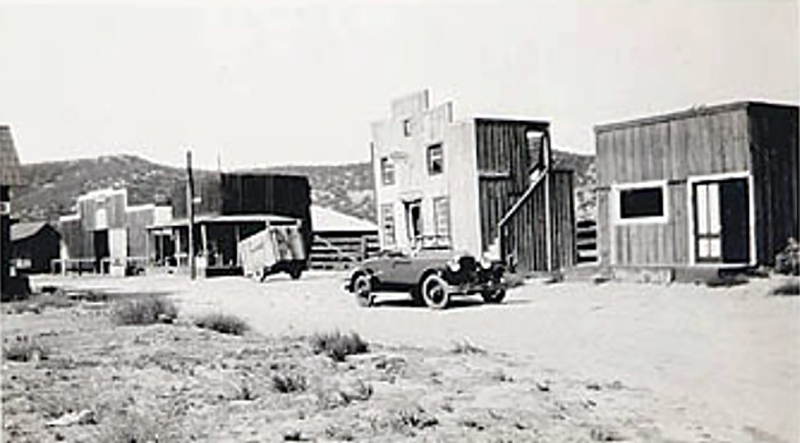 Photo described as "Newhall Movie Set, 1920s." Looks like Tom Mix in the car (closeup below), but that's not known. Mix, whose popularity as a silent Western actor was on the rise as William S. Hart was entering retirement, ran one of his early Mixvilles (late 1910s-early1920s) in Newhall. It is generally thought to have been in the large "triangle" formed by present-day Main Street, Newhall Avenue and Market Street. If you have information about this photograph, please contact us. LW2113: Online only. Source unknown.